Lu X, Kang Y (2010) Hypoxia and hypoxia-inducible factors: master regulators of metastasis. Clin. Cancer Res. 16(24), 5928–35. Saharinen P, Eklund L, Pulkki K, Bono P, Alitalo K (2011) VEGF and angiopoietin signaling in tumor angiogenesis and metastasis. Trends Mol Med 17(7), 347–62. Ribatti D, Nico B, Crivellato E (2011) The role of pericytes in angiogenesis. Int. J. Dev. Biol. 55(3), 261–8. 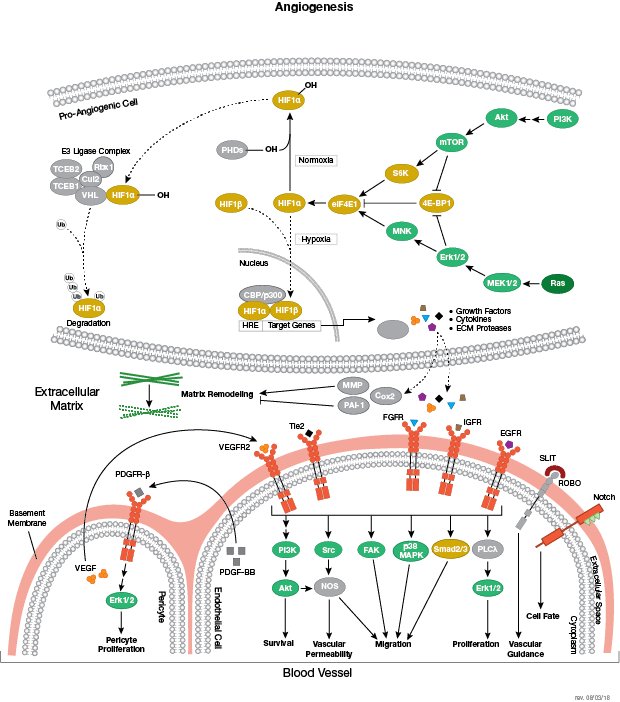 Koch S, Tugues S, Li X, Gualandi L, Claesson-Welsh L (2011) Signal transduction by vascular endothelial growth factor receptors. Biochem. J. 437(2), 169–83. Patel-Hett S, D'Amore PA (2011) Signal transduction in vasculogenesis and developmental angiogenesis. Int. J. Dev. Biol. 55(4-5), 353–63. 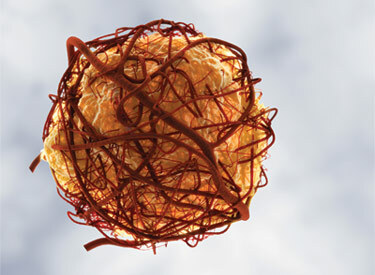 Senger DR, Davis GE (2011) Angiogenesis. Cold Spring Harb Perspect Biol 3(8), a005090. 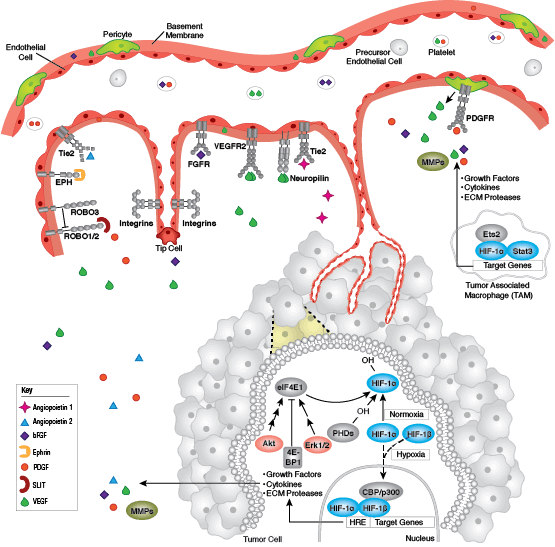 Weis SM, Cheresh DA (2011) Tumor angiogenesis: molecular pathways and therapeutic targets. Nat. Med. 17(11), 1359–70.